1. You will be helping animals feel better by helping them get surgeries, animal wheelchairs, and care that they need if they’re sick or injured. 2. 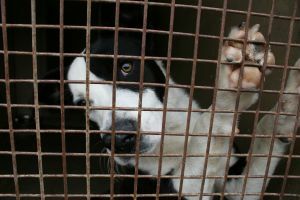 If you are considering getting a pet from a shelter, you could be saving the life of the pet you are getting. You ma not ever know it, but your wonderful new companion could be alive and sitting in your living room because your donation saved its life! 3. You could help save a pet’s life that could change/save its new owner’s life. 4. You can make a difference in the lives of animals even if you can’t adopt a pet. 5. Even if you only donate $1, you could get your friends to do that too. Let’s say you have ten friends, and they each have ten friends. Even if they only donate $1, that is $111 to the ASPCA! It’s easy to make a difference, especially if you work together. You can promote donating $1 on your MySpace, Twitter, or Facebook page to get others to do it too! 6. You will know that your donation is doing something, and that you alone can make a difference! 7. Pets deserve to live happy lives in loving homes. 8. Pets are very beneficial to people’s health. Not only are they fun (they do say that laughter is the best medicine!) and can help people loose weight, be less stressed, be less depressed, and be healthier in general. 9. You can help homeless pets havenice place to sleep and plenty of food while they await their new homes. 10. You will be doing your part to stop animal cruelty–many animals are being abused, and animal rescue agencies like the ASPCA save these animals from pain and suffering. I whole heartedly support ASPCA. Unlike some other groups that claim to be helping animals, and use your money only to raise more money, ASPCA does use your money to help. Research your charity. Give only to those who do what they promise.